For a city that couldn't get much further from an ocean, Chicago sure does love its coastal eats. You might not find shot glasses emblazoned with cartoonish lobsters and groan-inducing crab shack puns, but we still hold our own when it comes to preparing buttery, stuffed lobster rolls. So you can better prepare for summer eating, we've ranked the 10 best local spots serving up the iconic sandwich borrowed from the Northeast. 10. Brown Bag Seafood Co. 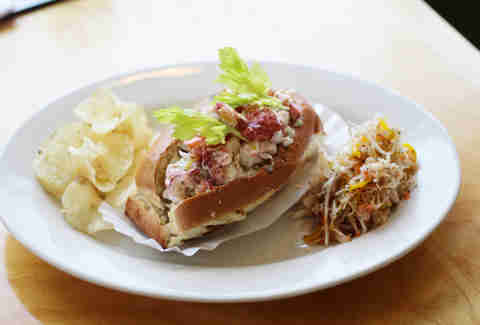 This Nantucket-esque seafood eatery's impressive roll comes with a bit of New Orleans flare tossed in with savory lobster. 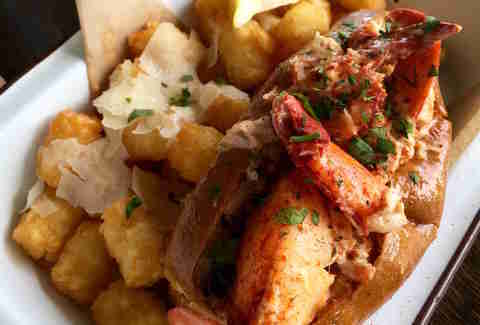 The big chunks of lobster with a hint of Cajun seasoning are balanced by the sweetness of a Hawaiian roll, and the whole thing is obviously best paired with crispy, truffle parmesan tater tots. 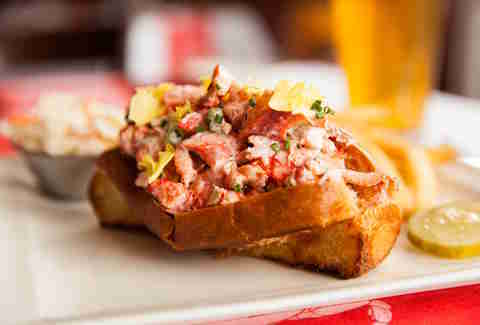 DMK's neighborhood fish shack delivers a straightforward lobster roll with a distinctive twist: a healthy sprinkle of cayenne pepper for a kick and both freshly diced celery and celery salt. Spicy slaw along with salt and vinegar chips complete the meal, but don't worry, the juicy ocean catch is still the main attraction. As are sea sippers on Chicago's notorious pier this summer. Since the summer of 2015, this food truck has been hitting the streets with two Maine lobster roll variations (in full or half sizes): get it "happy" with 4oz of sweet, tender lobster, butter drizzle, seasoning, and a touch of mayo OR "angry" with spicy mayo and hot giardiniera. Roll purists will probably scoff at the soft, burger-style bun used in lieu of the traditional split-top bun, but you can't argue with more buttery territory. Within this small fish market is an even tinier eatery, Wellfleet, which a tasteful menu comprised of the shop's flawless seafood selections. The Cape Breton lobster roll -- the price of which hasn't gone up in the nearly 20 years the market has been open -- showcases a hearty portion of chilled Nova Scotian lobster offerings with just a hint of mayo to bind it all together. Add in some cucumber, celery sprigs, lemon peel, and other herbs and spices pocketed within a buttery bun that's been specially-prepared by a North Shore bakery, and you'll start seeing ocean waves along Elston Ave. This Maine-rooted seafood franchise serves up a solid roll for $16. 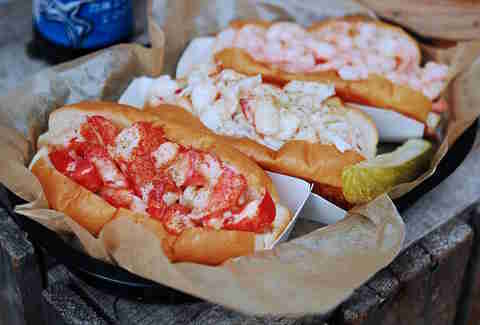 Its lobster-packed handhelds aren't overdone like so many other lobster rolls in the city, the chilled meat is lightly coated with both butter and mayo then sprinkled with spices like thyme and celery salt before it's tucked into a delicious, well-buttered bun. You'll find some unusual lobster roll variations like the "Genghis Kahn" with soy mayo, Asian slaw, Szechuan sauce, and scallions at this all-things-lobster purveyor. 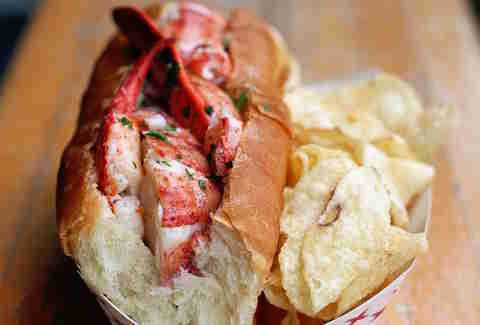 But the traditional roll dressed in tarragon mayo and garlic butter is the classic riff that'll keep you coming back for more... plus the salty Cape Cod chips you can expect from a New England-style eatery, which give it the "authentic lobster shack in the Midwest" appeal. 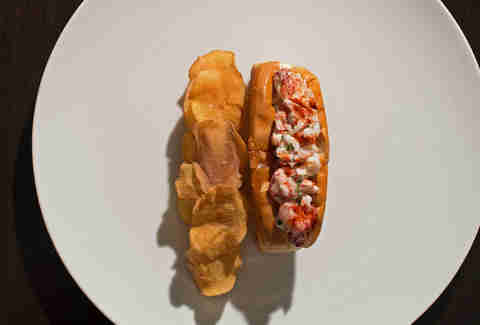 Chef Giuseppe Tentori's notable lobster roll has perfected the crucial meat-to-bun ratio. 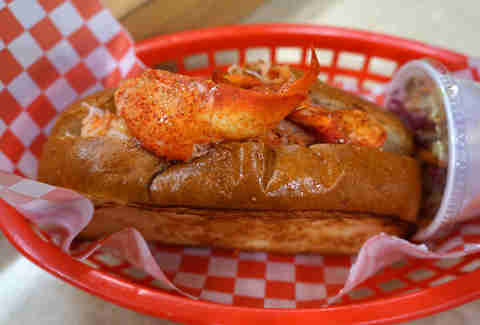 His version starts with a crispy, buttery house-made brioche dough roll, which is stuffed full of cool, meaty lobster chunks, coated ever-so-lightly in house-prepared mayo with a touch of Dijon mustard and ample dill, a spritz of lemon, and celery for crunch. Fried onion strings and seasonal pickled veggies round out the seafaring snack. 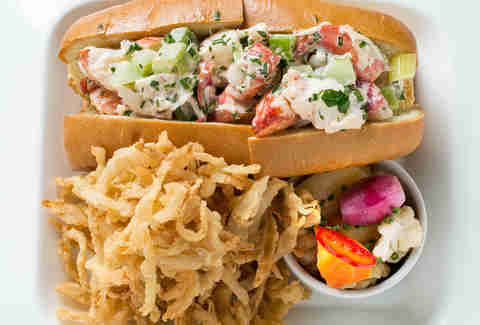 This sophisticated seafood eatery delivers a surprisingly unpretentious, generously loaded lobster roll. Hand-picked, whole lobsters are steamed for the lunch menu's second highest seller. 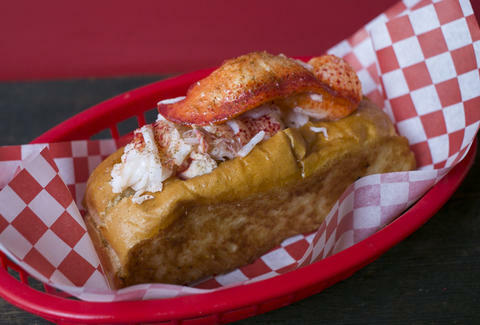 Big, sweet bites of steamed lobster are lightly seasoned, chopped, and mixed with Hellman's mayo and diced celery before they're stuffed into a house-made brioche bun, basted with butter and grilled. Your lunch order in the main dining room (or anytime at the bar) will be accompanied by salty, hand-cut fries, coleslaw, and a pickle. This neighborhood seafood market flies in lobster and buns from Boston on the daily to share the fresh wonders of the East Coast with us. The market's rendition is simple, which is a refreshingly beautiful thing. 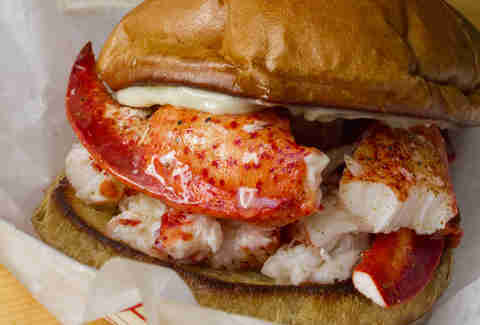 Lobster chunks coated in a light mayo and seasoning base are nestled between the toasted bun. It's accompanied by a side of warm drawn butter, fresh lemon wedges, and hand-cut potato chips, as it should. At his Michelin-starred restaurant, chef and owner Ryan McCaskey recreates the summers he spent in Maine through affordable, lobster-rich rolls for Chicagoans. 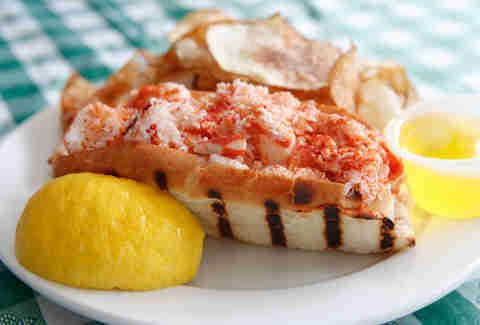 The city's best (take your pick: Maine- or Connecticut-style) proves there's no need to revamp the time-honored roll. Its subtly sweet bread smuggled in from the East Coast is incredibly buttery and crispy on the outside while its steamy interior cradles the succulent fillings. Minimally dressed with house-made chive mayo, squeeze of lemon, warm butter, and a dash of smoky-sweet paprika blend for a mild kick, the heap of nearly a whole lobster is complemented by tangy house chips.